The University of Mary Washington Theater and Dance Department will be represented by eight dance students and two faculty members at The American College Dance Festival, March 8-11, 2014 at George Mason University. The festival provides an amazing opportunity for students to participate in workshops, classes, performances and lectures all geared to compliment their dance and arts education. Along with dance/movement classes and workshops students will have the opportunity to see the Joffery Ballet at the Center for the Arts as well as “Imagine…a life in Dance” facilitated by Robert Battle - Artistic Director for Alvin Ailey Dance Theater, Charlotte d'Amboise - actress and dancer, Deborah Jowitt - dance critic, author, and choreographer, Elizabeth Streb - STREB Company COMPANY and Ashley Wheater - artistic director of The Joffrey Ballet. UMW theater and dance student, Covenant Babatunde’s choreographic work “Grave Silence” was selected to be presented in the Informal Concert during the conference, performed by students Lauren Armstrong, Sarah Joy Calpo, Mason Prince, and Edward Yates. 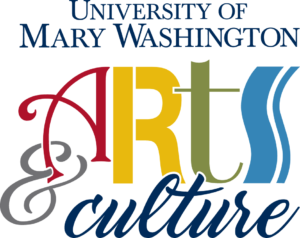 Attendance of The American College Dance Festival was largely due to the generous support from University of Mary Washington’s Friends of Dance Alumni Association who granted funds to support student and faculty attendance.